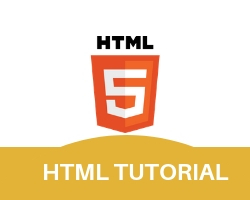 An HTML marquee is a scrolling element of text shown either horizontally across or vertically down your webpage. This is developed by using HTML marquees tag. direction of marquee scroll by default is left direction..given message moving to left. Change moving direction use direction property. There are four types of marquee direction : up,down,left,right. if we set the property(direction=”right”). text scroll towards right of a web page. Move your text/image in alternative direction use behavior property. Stop moving text/image when mouse is over at text/image . marquee have another property(onmouseover)with value(“stop()”). It stops the marquee text/message, when the mouse cursor over at the message/text. Start moving text/image when mouse is out from text/image . We set property,(onmouseover) with(value=”start”), (onmouseout) with (value=”start”) both together. Marquee scroll when the mouse cursor is move out. Maqquee scroll is stop when the mouse cursor is over the text/image. Now set the marquee with( scrollamount=”25″) marquee scroll fast.